We promise to help you maintain a safe and healthy yard for you and your family to enjoy. We take your business seriously, and it shows. Our attitude is "The customer comes first". 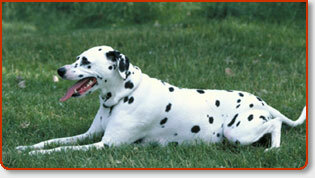 Let us help you reclaim your yard from the unpleasant land mines that your pet leaves behind. We will make sure that you have a safe and healthy yard for you and your family to enjoy. We promise you'll see results from our service. So go ahead, make those plans to relax and have fun in your yard. We stand behind our promise… and your dog! outdoor event? One-Time-Only Clean-Ups available. Owner, Mary Ellen Levy provides substantial discounts to senior citizens and assistance or working dogs. References available. 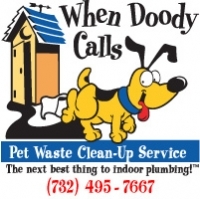 Professional Dog Pooper Scooper Services Available in New York? Yes! Does your idea of beautiful coexistence with your dogs involve never again being responsible for picking up their dog poop? In other words, you could (and would) prefer to simply hire this repugnant chore out to someone else that does this kind of messy work for a living? So you’re the owner of a dog, or two or three, or dare I say more(!) Yikes, that’s a lot of dog poop pileups. Or perhaps you manage or own property that has dozens of dogs such as commercial kennels or pet friendly condominiums and apartments? And maybe all this dog poop has been piling up around you, even closing in on you and your family at times. And you’re frankly sick and tired of constantly seeing it just hanging around… basking in the sun… smiling back at you. And what about the dog poop when it gets scary-out-of-control? When life gets to hectic and you forget about it? Or the simple thought of looking at it as you pick it all up in your yard each week is reason enough to continually postpone the whole chore altogether. Sound familiar? Relax, there is a professional pet service called “Dog Waste Removal”, also known as Pooper Scoopers, and these guys are here to take over your dog poop problems FOREVER. This unique dog service not only provides a healthy and beautiful environment for your family, dogs and property, but also completely dismisses dog owners from having to allocate unnecessary time, energy and intestinal fortitude to playing pooper scooper themselves each weekend. The below listed New York pooper scooper companies can and will take care of all your dog poop problems irrespective of what type of property you own or maintain, how many dogs you have, or how frequently you desire them to attend to your place and “scoop the poop.” As far as what types of surfaces these “dog waste removal services” can remove dog poop from, it pretty much runs the gambit. They’ll essentially take care of your dogs “business” anywhere they “go” including: grassy yards, flower beds, wood deck areas, dog runs, pea gravel, beauty bark, cement porches and other concrete flat-work, small and large fenced in areas, and most of these New York pooper scooper contractors work with river rock as well. Once a scooper contractor arrives at your home, he/she will thoroughly clean and remove dog poop from all the areas that you and the your contractor had previously agreed is a “poop zone.” So if you would just assume be playing fetch with your pups instead of spending your afternoon weekends playing “poop hockey”, well then I can confidently say that you’re a “shoe in” to secure the services of one of these New York pooper scooper services. Your dogs will thank you too.